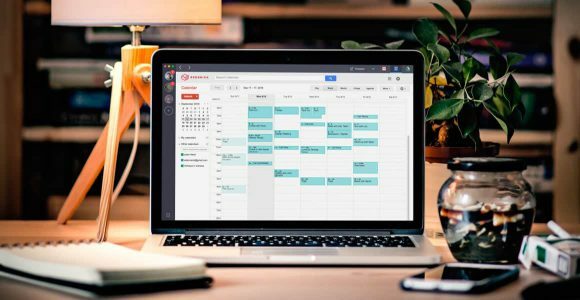 When it comes to Google’s popular suite of apps, Google Calendar is probably, and paradoxically, one of the most used and most overlooked in the bunch. Many people use Calendar to keep track of things like meetings and birthdays, but very few ever go beyond using the app’s most basic features. The truth is, Google Calendar is much more powerful than most users realize. There are plenty of features that make it more useful after taking a minute to explore. While they’re not really hidden, many are not exactly obvious either. Read on to see how you can master Google Calendar and take organizing your time — or lack thereof — to a whole new level. In just a few clicks you can add holidays from more than 100 different countries and several religions to your calendar. This is especially useful if you work with people in other countries and need to be aware of their cultural schedule. To add any or all of the holiday calendars, look on your left sidebar where it says “Other Calendars.” There’s a small arrow on the right pointing down. Click that arrow to expand your options and then click on “Browse Interesting Calendars.” You’ll get a huge list of, well, interesting calendars you can add to your own. After you’ve added one or more, you can toggle them on or off by clicking the colored square next to the calendar name in the left sidebar. When adding a new event to the calendar, most people will either click the create button on the top left, or click on the time slot where they want to put a reminder. It’s not too complicated to use either of these options, but there is a faster way to make sure you stay on schedule. If you click on the downward pointing arrow on the right side of the “create” button, you’ll get the “quick add” box. Here you can type what you want in plain English and Calendar will do the rest. For example, you can say, “recurring meeting with John on Wednesdays at 3pm”. Calendar will mark off a meeting every Wednesday at three. No need to fill in the forms and check all the boxes. If you’re a power user who really wants to stay ahead of the game, you can have good ol’ Google Calendar send you an email every morning with your complete agenda for the day. It’s a great way to make sure you’re always ready for the day ahead. To set this up, click the gear icon on the top right of your calendar, then go to settings -> calendars. You’ll get a list of calendars, and you should see “edit notifications” to the right of your main calendar. Click on that link and you’ll be taken to a screen full of notification options. On the bottom of the page you’ll see “Daily Agenda.” Tick the checkbox, save your settings, and you’re all set. You can share your calendar with friends, coworkers or relatives, and add their calendars to yours too. To add a friend’s calendar, click that downward pointing arrow next to “other calendars” and select “add a friend’s calendar.” Put in your friend’s email address and they will get a message asking for permission to share their calendar with you. Once approved, their events will show in a new color on your calendar. You can toggle them on and off by clicking the colored box next to their name on the left. To share your calendar with someone else, click the gear icon and then settings -> calendars. To the right of your calendar name you’ll see the option to “share this calendar”. Just put in the email address(es) of anyone you’d like to share with and they’ll get a notification letting them know they can see what you’re up to. These four tips will definitely help you get more out of one of Google’s most forgotten online apps, but our list is far from exhaustive. Don’t be afraid to explore the settings and options to find more ways you can improve your experience. Now stop goofing off and get back to work! Like it or not, you’ve just lost one more excuse for not having your sh*t together.